Alina Kabaeva, Vera Sesina, Evgeniya Kanaeva – these are famous faces from the world of gymnastics. Their dances are graceful and elegant, but in reality they are the result of extremely hard work, sweat and tears. Almost every famous champion gymnast like Olympic champion Alina Kabaeva or multiple world champion Vera Sesina started in Moscow’s Olympic village. For many, the very place played a key role in their career. Ten-year-old Yulia is one of the lucky few who have been given the opportunity of a lifetime by world famous trainer Irina Vinner. Yulia was only four years old when the ribbons of the gymnasts first caught her eye. Six years later, they are now a key part of her life. 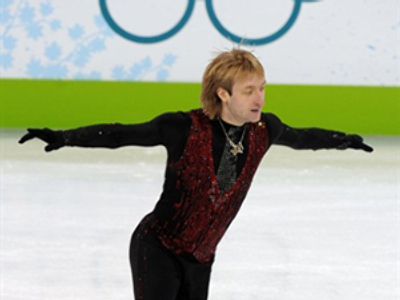 Even though little Yulia lived with her family in Moscow, her parents decided it would be best for her and her future career to leave home and move to the sports village. “Of course it’s hard. I spend all my time here in the gym, but I never regretted my decision,” the young gymnast says. 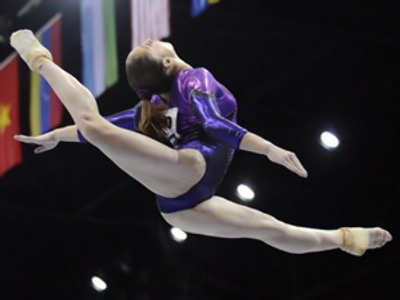 Yulia is just one of dozens of girls of different ages that decided to leave home in pursuit of their gymnastics dream. They live, study and train all together in special apartments situated within the sports center. Life there is hard indeed, with even the youngest training five hours per day, while the oldest train up to nine. Yet the Olympic Village is only the first stage and, as the girls say, it is the easiest. “First, children come here. They gain experience, train, and then children are selected and the best ones are sent to Novogorsk, where the best trainers in Russia are working, including the chief trainer of the Russian combined team Irina Vinner,” explains trainer Yulia Ufimtseva. Of course, every child there dreams of becoming another star of the gymnastics floor. However, even after years of hard work and dedication, only the brightest succeed.